Aubrey Fennel (on the left photograph with elevated hands) is a hunter of Champion Trees and authoritative voice on their behalf. 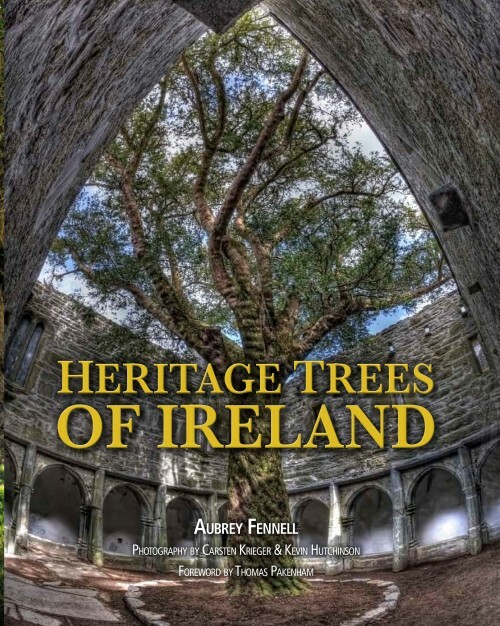 Recently he published an enormous book about the silent green giants: Heritage Trees of Ireland (The Tree Council 2013, The Collins Press, 328 pages, 24 Euro). Pages 242 and 243 are dedicated to the fabulous myrtle wood in East Ardnagashel (still owned by the Hutchins family). 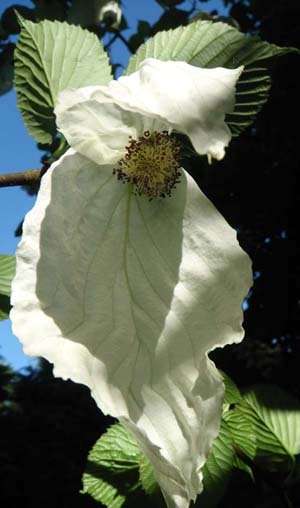 Aubrey Fennel has recorded over 10,000 champion trees in Ireland for the Tree Register of Ireland’s database at the National Botanic Gardens. 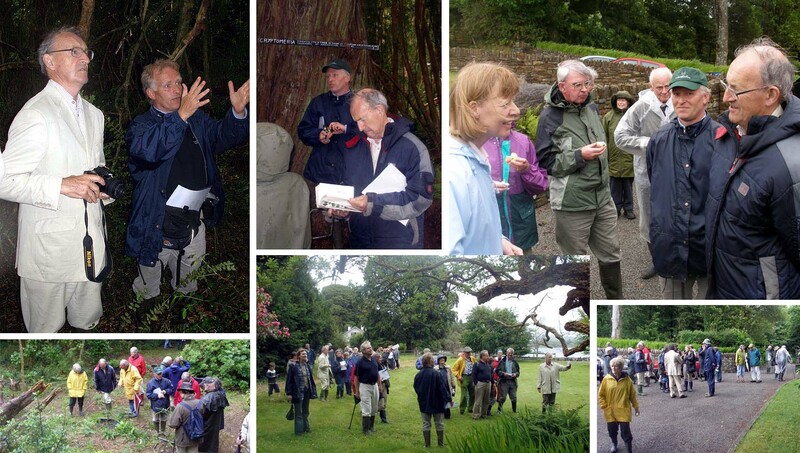 In June 2006 he came to Ardnagashel – together with quite a crowd from the Irish Tree Society and – of course – Sir Thomas Pakenham, the renowned tree photograph and expert (on the left photograph with the white suit). Aubrey Fennel lives in Carlow among his own champion trees. This entry was posted in trees, visitors. Bookmark the permalink.